Most joined in right away, having sung the tune many times before. The rest entered in shortly, guided by the woman as she skillfully repeated each line in a way that made the song easily accessible to all. After a few short turns, harmonies began to emerge and a mountain of sound wrapped itself around the room where the dying mother and family weepily received the healing wash of song. Three more songs began and ended in this graceful way —each stretching easefully into several minutes of resonant sound before the group held a final moment of stillness together and then dispersed back into their individual lives’ busyness, all carrying with them a renewed understanding of what it means to be a part of life in a connected and committed community. A painting depicting the Driftless region, and Liz’s commitment to place. For thousands of years, humans have sung together; sung for joy, for creating and preserving culture, to mark important stories, to enliven social movements, to grieve, to praise, to share. Something inexplicable happens when people open and blend their voices into a single lake of sound. To me, it’s one of the most basic and radical means for making, seeing, and feeling the truth of our connection with others. Permaculturist Adam Campbell said that “song is one of the primary pattern languages of nature.” Indeed, if you’ve ever spent a quiet moment in the woods, you know that song is as fully integrated into any forest or pond as the beings who live there. And just like frogs and wrens, when people sing together, a pattern is spun out into the world and written into the collective memory of all it has reached. Are you ever amazed when you hear an old song and you find yourself singing along, even though you haven’t heard it for 15 years? What would happen if a whole family, community, or bioregion of people were connected by dozens or even hundreds of the same song patterns? What if the songs were made up of words and rhythms that enlivened the people and beings of a particular place and time? And what if they were shared in daily life as part of the delicious food necessary for growing resilient community? These questions are seeing the inklings of answers in many parts of this country and world today as people remember the joy and importance of singing together. 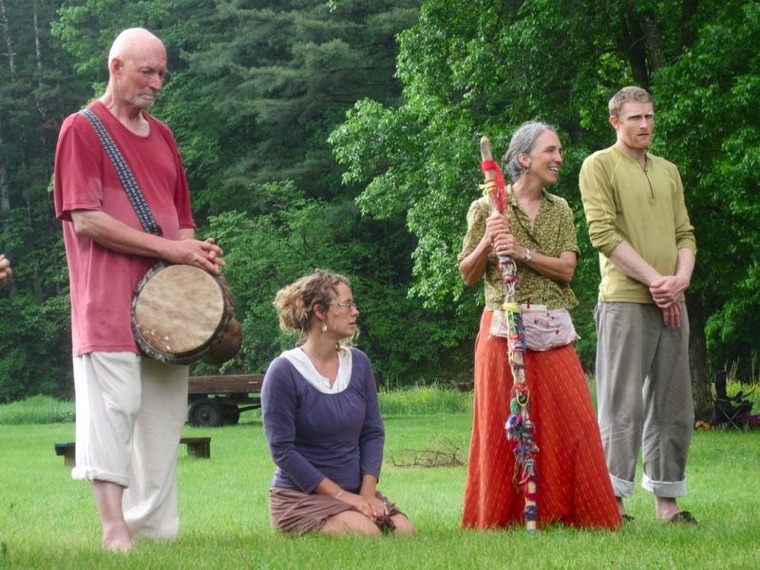 Just as there are many ways that people are re-inventing local food systems, energy systems, and more whole hearted ways of living together in community, there are many ways that song is being re-enlivened as an integral aspect of life in place. 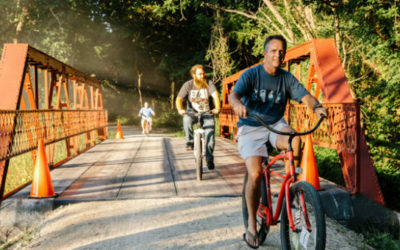 In the small town of Decorah, where a wide circle of people now know enough of the same songs that there is often spontaneous singing in the streets for some excitement or another, one particularly fearless and effervescent individual has been pursuing her calling by spreading songs and building local culture for nearly 35 years. Her name is Liz Rog, and she is a relentless lover of her place and its people. From the first moment she set foot in the Upper Iowa River Valley in 1978, Liz knew that it was where she would spend her life making the world she wanted to live in. 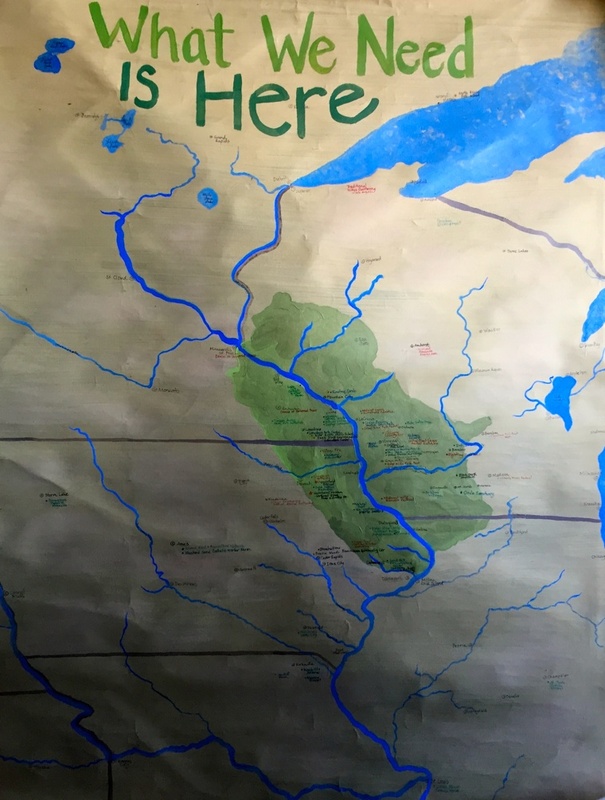 And after three decades of tireless commitment to Decorah and its people, that world has come to look like a richly interconnected, intergenerational community, held together in a complex web of songs, traditions, gifts, and relationships. 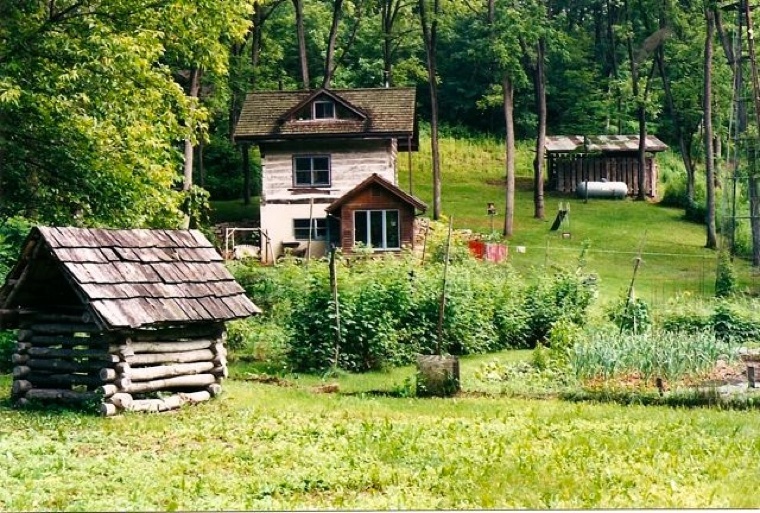 From her family’s handmade off-grid homestead, where she and her partner home schooled their children in her great-great-great grandparent’s original log cabin, to the front lobby of the Oneota Food Co-op, where she has folded people into the community-oriented landscape of radical Decorah for 27 years, Liz has spent her days tending this vision, building bridges between people and place in service to beauty and connection. 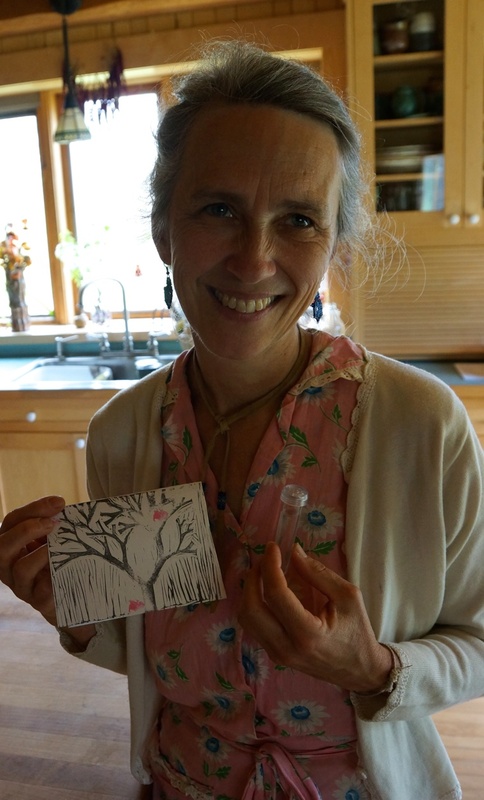 Woven through her many endeavors of community building in Decorah has been the gift of song —the essential underpinning of her work — as disparate strands of daily life are stitched together and revered in a small rural town. With Liz, there are songs to praise food before meals, songs at the neighborhood potluck, songs while processing tomatoes or weeding the asparagus patch, song for new life, and songs for letting go, songs to begin and end the day —songs for anything! Liz truly wakes up and falls asleep singing. As a child in Roseville Minnesota, she spent her free hours putting together books full of sing-along songs and enlisting her friends and family to sing them with her. Now, she has hundreds of songbooks, thousands of songs stored away in her pin-sharp mind, has created dozens of community gatherings related to singing around Decorah, and has successfully integrated singing into all kinds of gatherings and cultural events throughout the years. The songs that Liz leads are easy to learn, taught in the moment, and no one ever sings alone, and as any true old-timer knows, if a person sticks around a place long enough, whatever gifts they bring with them will eventually be woven into the fabric of ‘normal.’ Indeed, after nearly three decades of Liz inviting her curious, excited, and sometimes terrified neighbors and friends to sing with her in both public and private venues, “We sing together here” has become part of a collective understanding. Of course, arriving at this point did not happen overnight, and you would be guessing correctly to assume that not everyone in Decorah bursts into four-part harmony when they see a friend in the grocery store. Understandably, Liz has come up against some significant resistance to singing throughout her life as a song sharer. In a predominant culture that tends to shut down our voices, learning to share one’s voice is a terribly vulnerable act. Many of us carry the deep and visceral feeling that our voices are not strong and do not deserve to be heard. If your spine prickles and throat closes in terror when you imagine singing with other people, you are certainly not alone. Cynicism, too, tends to be a strong force against group singing —a loose disguise for unmoored grief and the loss of genuine beauty in our life of dominant cultural narratives. At the core, all these things speak into a larger story of our time, a story in which the cultural richness that was once a birthright of all people has been stolen by the ruthless monetization of all things. But as we learn to use our voices again, be it through singing or simply speaking our truth, we begin to take back pieces of the more beautiful and just world that still belongs to all. In these uncertain times, it is vitally important to find the points of connection in our lives and our work. For Liz, blending our voices into a single sound is one of the most profound ways to help us feel our connection and know it to be true. And that collective sound is growing! 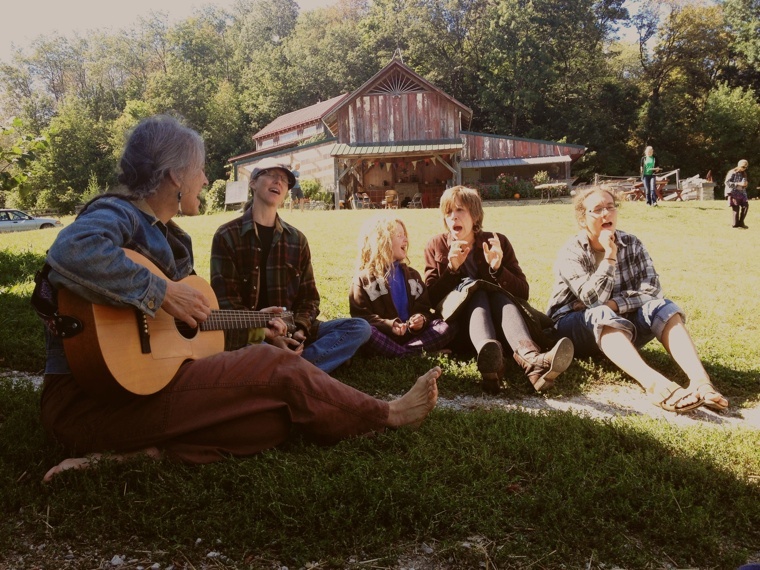 After hardly leaving the Driftless bioregion for three decades, Liz has in the last five years begun to connect with community singing movements that are emerging in various regions of the country and world. Many people working to seed song cultures in the places they live are uniting in something called the ‘Ubuntu Choirs Network’ —named after the Zulu word that means ‘I am because we are’ — sharing resources and building a network of song communities. 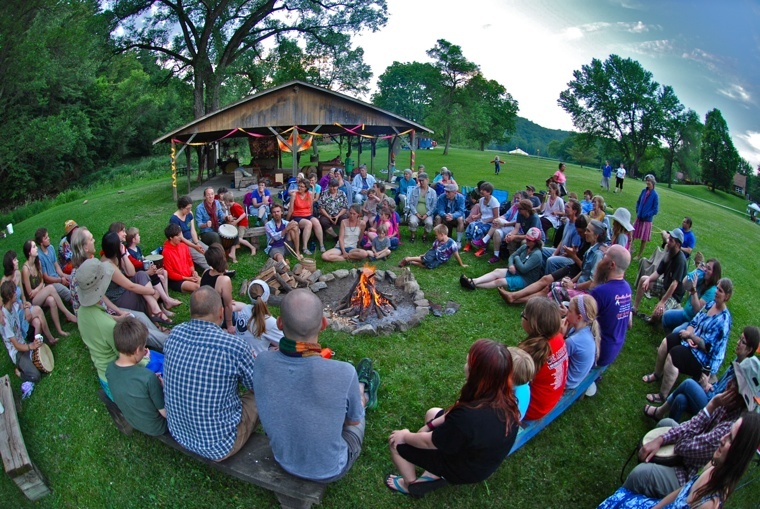 Week-long regional gatherings — dedicated to group singing — are popping up all over the world, including Village Fire, Liz’s very own 3-year-old song gathering in which 250 people gather together in the ancient bluffs of the Driftless region every June. As a young song spreader myself, I am constantly astonished at the way song is awakening in the places I wind up while on the road. It seems that wherever I go people are singing together, delightedly realizing that they know dozens of the same songs, and integrating those songs into the broader landscape of their lives in community. Sometimes the struggle to reclaim a meaningful, healthy way of living on this planet seems endlessly impossible. Other times, a shared song can turn a distantly imagined picture of cultural wholeness appear in its fullest form — making any darkened dream seem possible, precisely because it is shared. In his book “The Gift,” author Lewis Hyde says that ‘the gift is something that comes to you unbidden, transforms you, and then leaves.’ While songs, movements, and even people come and go, those things which are truly paradigm-shifting are more apt to be born when a gift comes and decides to stay put, continuing to transform that which came before it. The vibrancy of life, held together by song in Decorah, is a prime example of what can happen when the gift stays; when ordinary people like Liz and so many others commit to loving the place they live and say a full resounding “yes!” to living into their highest callings. It is clear to me that something is in the air in these wild times. Some lovely melody is floating from branch to branch, from root to burrowing root, lifting each new seedling heart it finds toward the sky. Let’s catch that melody and store it while we can, use it for the uplifting of all beings; for the making of a world worth living in. 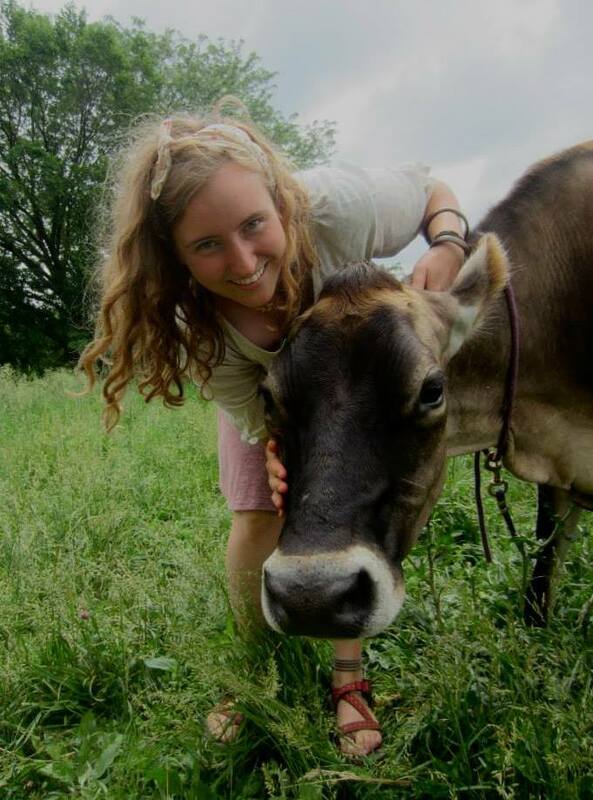 New RST contributor, Annie Zylstra, is a song sharer, community advocate and recent graduate of Luther College in Decorah, IA. She lived with Liz at Pleasant Valley for 6 months. Please Sheila, keep singing these beautiful songs. Thank you! Liz is such an inspiration and a gift! 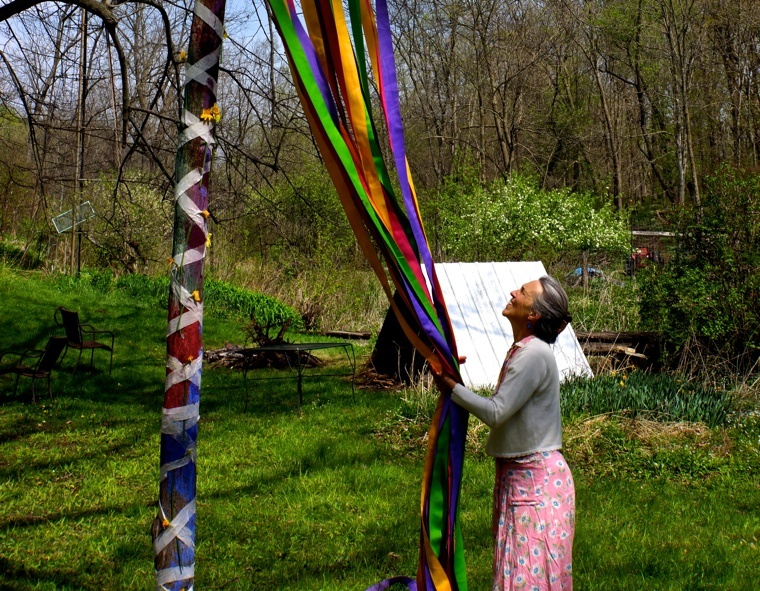 She weaves together community healing the Earth with song. Beautiful woman with a beautiful heart and song, and kudos to Annie. Village Fire is an experience I wish for anyone with a voice or ear! My 18 yr (just graduated)son participated at Village Fire 2015 and was deeply touched by the experience. He is now the song leader in our home and in other circles where he will lead people to burst out in spontaneous song together! Thank you Liz for reminding us all to sing out! Thank you Sheila for your beautiful words. Thank you for taking the time to comment, Aimee! Didn’t Annie do a wonderful job writing about a person and topic that is so close to her heart? 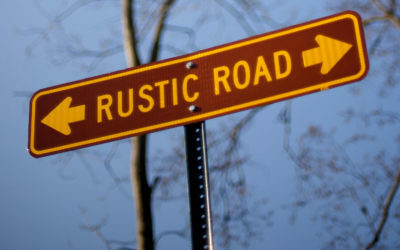 These are exciting days at Realsmalltowns with new, talented contributors coming on board! This is a beautifully written article, straight from the heart. Thanks for writing it Amy. By the way, the link at article’s end to learn more about Village Fire doesn’t work. I think you need to change the destination from villagefiresinging.org to villagefiresinging.com. Thank you Craig, for pointing out the incorrect link… it has been changed now. I appreciate you taking the time to contact us! for we all belong to the song….of mystery and love! This singing gift was shared with me by the kind singers of Viroqua shortly after my arrival in this new hometown of mine. Great job Annie at putting the musical experience into prose. Annie, thank you so much for writing this beautiful article. Oh, it makes my heart swell with the breadth of this world and all of its Places and the people who make them sing with their gratitudes. To be alive is a gift, and the gift of music brings us all together. Blessings, dear, and thank you. I'm sharing the link on Facebook. Hope others read it and get excited about community singing. 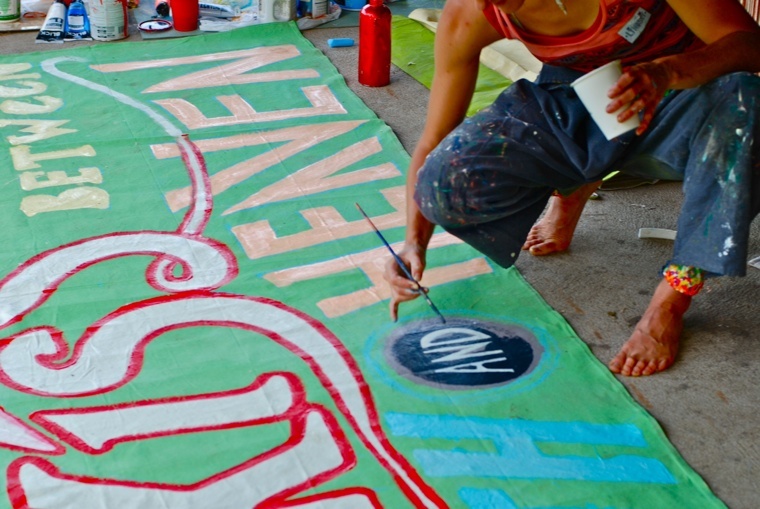 Wonderful expose of what communities and neighborhoods can be about. Song and connection – go together.